Ryo Kato (Ren Kiriyama) spends his days at an internet cafe. He is still in debt for 2.45 million yen. At the internet cafe, Ryo meets his childhood friend Oda (Yuuki Tsujimoto) again. Oda tells Ryo that he has made a lot of money from card tricks. Oda tempts Ryo to join him, by telling him it's dangerous work, but also highly profitable. With his dire need to make fast money, Ryo joins Oda. 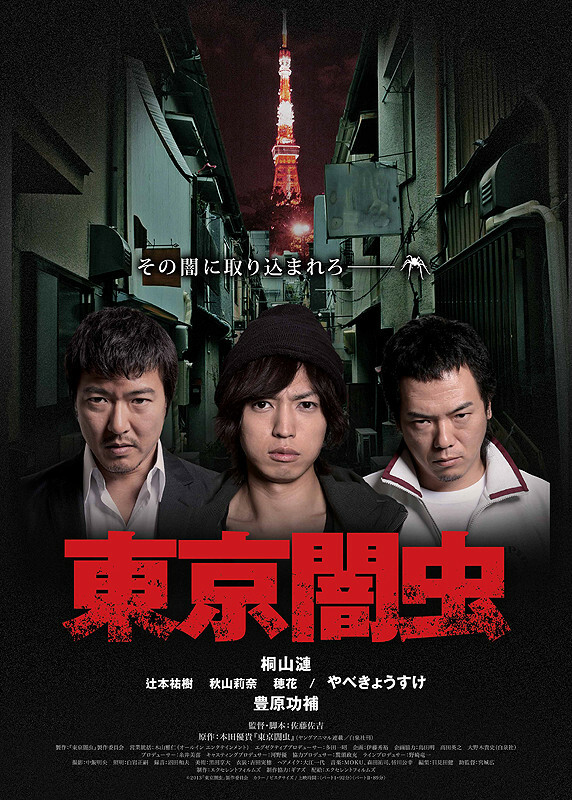 Their work goes well and Ryo able to pay off his debts, but trouble soon finds Ryo again. Ryo and Oda go on the run from the police. Oda is then caught by the yakuza. To save Oda, Ryo stands in front of the apartment of Sabata (Kyosuke Yabe). Based on manga series "Tokyo Yamimushi" by Yuuki Honda (first published August 27, 2010 in Young Animal magazine and then published in book form with the first volume published March 29, 2011 by Hakusensha, Inc.).